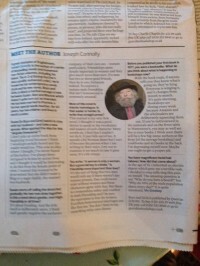 From today’s Observer: Meet the Author. 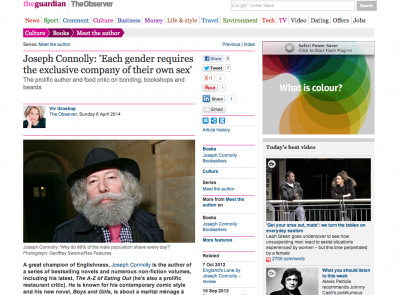 Joseph Connolly is definitely one of the most bearded people I have ever interviewed. He’s also amongst the most charming (and that is a serious accolade as I have encountered Dame Judi Dench and Alastair Campbell who are charm personified). 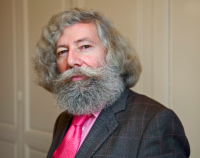 He’s an interesting character: a prolific novelist and non-fiction writer whose books sell as well as Martin Amis and Julian Barnes in France. He has expressed disappointment in the past that his work is not quite so appreciated at home. He was talking about his new novel Boys and Girls, which is about a woman who decides that one husband is not enough for her — she wants an extra one too. And the two of them had jolly well better get along. 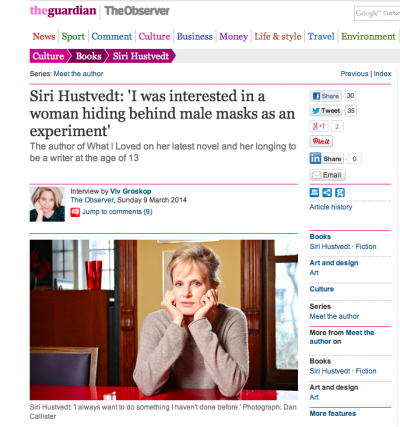 Thrilled to interview Siri Hustvedt (over the phone from New York) about her new novel The Blazing World. It tells the extraordinary story of a woman artist who achieves acclaim by posing behind the personae of three male artists. As a woman she is ignored. Once people think she’s a man, she’s the toast of the Manhattan art world. See also this review of The Sorrows of an American. 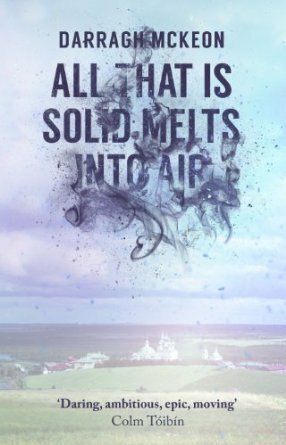 And The Summer Without Men. 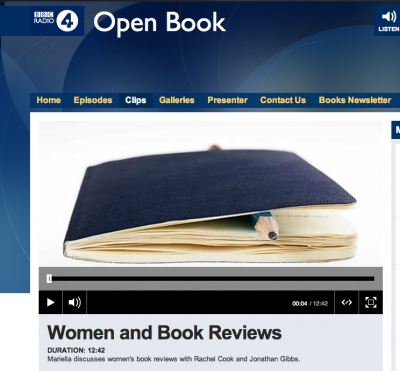 This week there was an explosive discussion on BBC Radio 4 about women and book reviews — about how there are fewer female reviewers and fewer books by female authors. Thanks to @LisaAllardice for flagging up the Guardian’s graphic of the figures. The discussion featured an extraordinary statement from the London Review of Books (who declined to appear on air), which I have reproduced below because a lot of people on Twitter were asking what all the fuss was about. I wanted to reproduce the statement in full because I think it’s important that it is known that there are people out there who still think this way. Whilst I’m loosely on board with the basic “Lean In” sentiment implied here (you can never “Lean In” far enough if you’re a committed, passionate person, whether male or female), I could throw a lot of dirty washing up water in the face of anyone who uses these “women are too busy cooking dinner and looking after children to do any proper work” arguments as part of a supposedly serious discussion. But there I go producing just the sort of rubbish sentence that would not be the best version of itself and therefore not be fit for publication in the London Review of Books. “Counting is a feminist weapon. “How many women are on the board?” “How many women are in Parliament?” “How many women are in the LRB this fortnight?” Over the history of the LRB 82% of the articles have been written by men and 18% by women. None of the editors — count them, four men and five women — are proud of that. We need to do better. It shouldn’t be controversial to say that doing better isn’t as easy as it seems. The number of women’s bylines are low in the New York Review of Books, the New Yorker, the TLS. Just as numbers of women are low on corporate boards. It’s down to more than editorial whim. 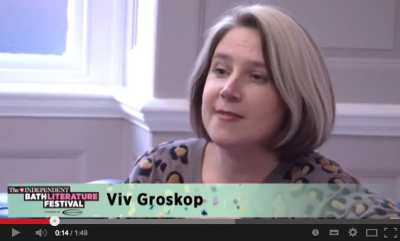 The problem is, as Jenny Turner said earlier this year, both subtle and deep-rooted. Partly a matter of social arrangements that work against women and partly due to the effect a sexist world has on women. Women send fewer pitches to the LRB. 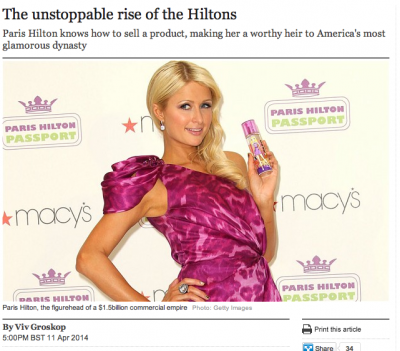 They often prefer not to write critically about other women. They are under-represented among historians of the Second World War, particle physicists and macro economists. And any number of academic disciplines the LR Books covers. I am also so proud that Joanna Rossiter is the (debut) author of this year’s Big Bath Read. I need to check the archives but I’m pretty sure it’s the first time a debut novelist has been chosen for the Big Bath Read. The local response to the book has been phenomenal. 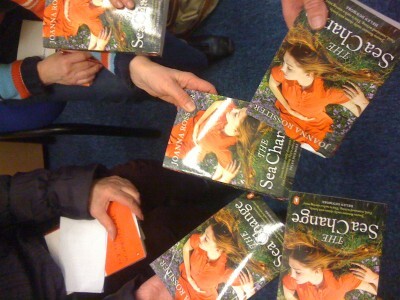 Over 60 people signed up for our Goodreads book group online (the first time this has ever been trialled — and already it has been chosen as a featured Goodreads Group, promoted to Goodreads’ 18 million members) and we’ve been holding face-to-face book groups across Somerset, talking to readers about The Sea Change. Tonight’s group at Midsomer Norton (pictured above) awarded it an unprecedented (for them) 7.9 out of 10. Judging by their faces, this was an exceptionally generous mark and meant it was a book they would recommend to anyone. (They gave Wolf Hall 5 out of 10 and they really liked it. Scary.) Earlier today, I talked to Joanna Rossiter on BBC Radio Bristol and she talked about how much something like this means to an author with their first novel. This is exactly what the Festival is for and it makes me very happy. 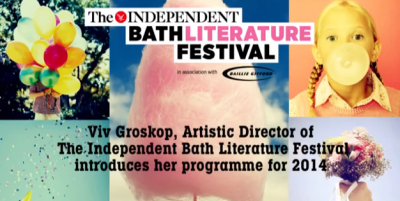 You can join me for our big Festival Big Bath Read Book Group on Wed 5 March at 1pm in Bath — it will be a lot of fun. Or you can join Joanna at Keynsham Library at 7.30pm on Wed 5 March — or in Bath at 1pm on Thurs 6 March — both are waiting list only now, I’m afraid. 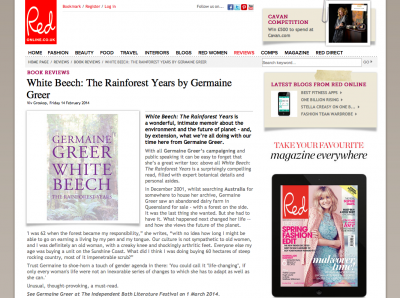 Germaine Greer’s White Beech: The Rainforest Years reviewed in Red. There is an outside chance still to see her in Bath on Saturday March 1. The event sold out just before Germaine’s 75th birthday in January — but you can still go on the waiting list if you call 01225 462231. 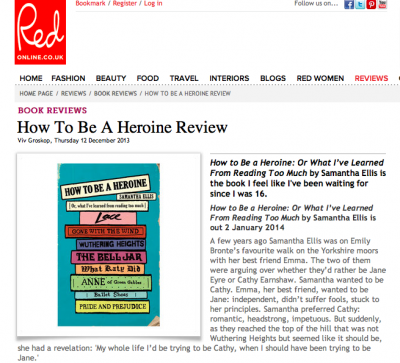 I loved Samantha Ellis’ unusual, original memoir about literary heroines, a Red Book of the Month and reviewed in more detail for the Observer. 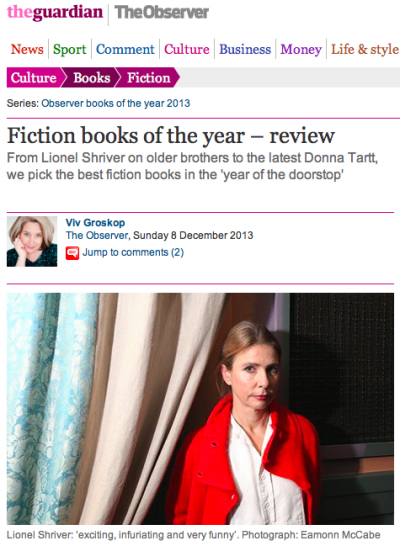 Making it into my list of 2013 novels in the Observer (click on the book title for the original full-length review): Big Brother by Lionel Shriver (The Observer), Sisterland by Curtis Sittenfeld (The Observer), The Woman Upstairs by Claire Messud, Home Fires by Elizabeth Day (The Observer), The Interestings by Meg Wolitzer, The Deaths by Mark Lawson, Unexploded by Alison Macleod (The Observer), Lion Heart by Justin Cartwright (The Times), Blood & Beauty by Sarah Dunant (The Times), The Goldfinch by Donna Tartt (Red), The Signature of All Things by Elizabeth Gilbert (Red), Instructions for a Heatwave by Maggie O’Farrell (The Observer), All the Birds, Singing by Evie Wyld (The Times), Where’d You Go, Bernadette by Maria Semple (Red) and May We Be Forgiven by AM Homes (The Observer). Whilst I recommend all these books, it’s interesting to note the ones I read even though I knew I wasn’t going to be reviewing them: Claire Messud, Meg Wolitzer, Mark Lawson. With all the others, lots of them I read and then ended up reviewing (it’s relatively rare for me to read something because I *have* to review it and have no choice). 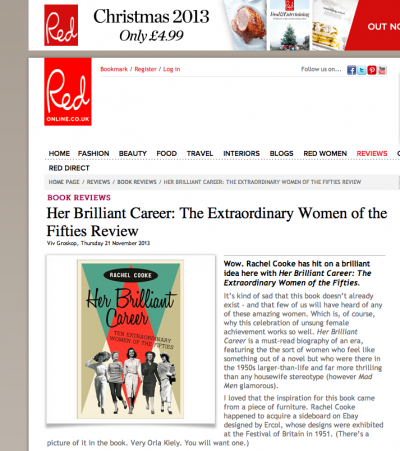 I loved this book by Rachel Cooke — reviewed here in Red. I interviewed Rachel recently at Foyle’s where the general feeling in the audience could be summed up as: “I am going to buy this book for every woman I know for Christmas.” As Rachel more or less put it herself, it’s a sort of Grazia of modern social history. It has a serious point behind it. Why don’t we know the names of these women? Why do we imagine that everyone was a housewife in the 1950s? Why is it surprising that women were able to make the lives they wanted? But it has a wonderful light, gossipy touch that makes it so fun to read. Buy it with Hadley Freeman’s How to Be Awesome if you like someone enough to give them two books. Or – sod it – take the message implicit in both books (“You make your own luck, ladies”) and buy them both for yourself.